Heeft u een vraag voor Panglao Island Franzen Residences (Panglao Island Franzen Residences )? Ontworpen voor zowel zakelijke reizigers als toeristen, is het Panglao Island Franzen Residences ideaal gelegen in Panglao eiland; één van de meest populaire buurten van de stad. Het hotel ligt 20 km van het stadscentrum en de belangrijkste faciliteiten zijn dus goed bereikbaar. Dankzij de praktische locatie liggen alle belangrijke trekpleisters in de buurt van het hotel. Het Panglao Island Franzen Residences biedt gasten superieure dienstverlening plus een breed scala aan voorzieningen en is toegewijd om uw verblijf zo comfortabel als mogelijk te maken. Taxi service, wi-fi in openbare ruimtes, parkeerplaats, roomservice, vervoer van/naar luchthaven zijn slechts enkele van de faciliteiten waarmee het Panglao Island Franzen Residences zich onderscheidt van andere hotels in stad. Aanvullend beschikken alle gastenkamers over een variëteit aan voorzieningen als kledingkast, handdoeken, kledingrek, plasma tv, sofa, om zelfs de meest veeleisende gast te tevreden te stellen. Hotelfaciliteiten als massage, tuin bieden alle gelegenheid om te ontspannen na een drukke dag. 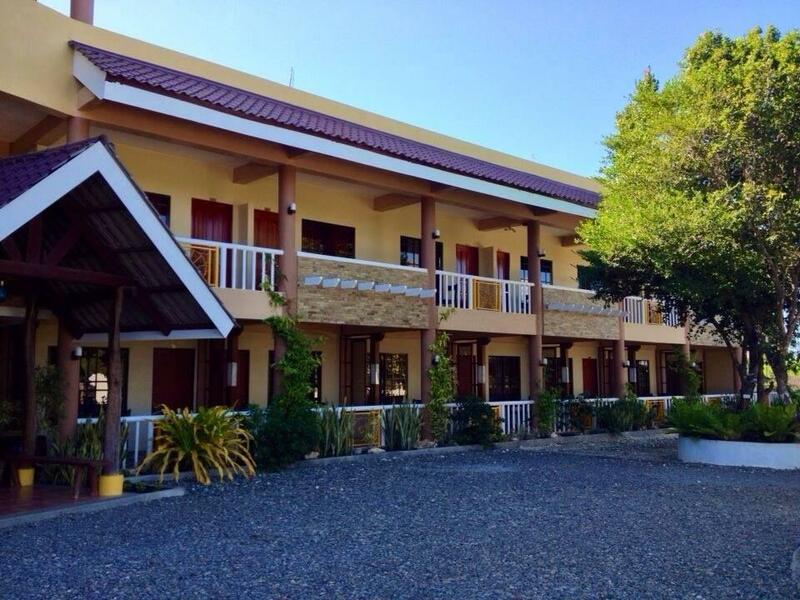 Als u zoekt naar comfort en gemak in Bohol, dan is het Panglao Island Franzen Residences uw thuis ver weg van huis. De minimumleeftijd van gasten is: 5 jaar. Really enjoyed our stay. Lovely clean and we'll managed hotel where you feel at home from day one. The staff were terrific. It's close to town and the beach. Cannot find any fault and would totally recommend. Only a 5 min walk to Alona Beach, but also on the quiet side of the area - very easy access to restaurants and shops but still a haven away from all the busyness. Everyone at the hotel was so helpful and kind and I would recommend it in a heartbeat! This hotel, in my option was the best value for price in the area. It is set just back from the chaos of alona, on a piece of property with a relaxing vibe. 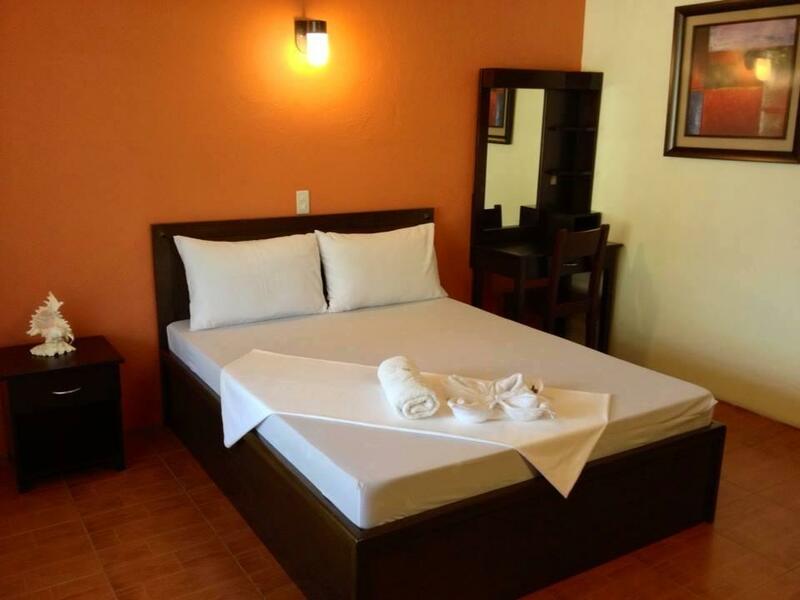 It is walking distance to the beach and restaurants. Everything was clean, the beds were comfortable and water and a kettle were in the rooms. Our only complaint was not about the hotel but about Alona Beach in general. It is crazy busy and touristy and not a relaxing place to visit. If you are looking for total peace try Dumaluan Beach. room was nice and the grounds attractive. not sure if they have a restaurant although they were very nice in lending us plates and utensils those times we bought food outside and brought it back to eat at the resort. its a long walk to the beach. there's a short cut but i would recommend taking the short cut after dark. Frangente is perfect! Has spacious and very clean rooms, a good Wi-Fi , located near south alone beach, 10 mins by the village but in quiet position, staff is very helpful in all and madame franzen knows all skills for your Tours or whatever you want! She is like a treasure for the panglao island!!! So gentle and available at any Times to enjoy our stay! 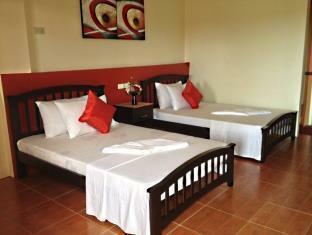 The resort is clean, affordable accomodate us 5 person thats a plus coz. They could accomodate more people in affordable prize the thing I like more about this place they're room are clean and good shower and bathroom. You can also make coffee in room. Its very close to the beach. Compare to the beachfront prizes who only accomodate 2 person for rooms for twice the prize or even 3x's expensive. I'll stay at this resort again.Friendly staff. 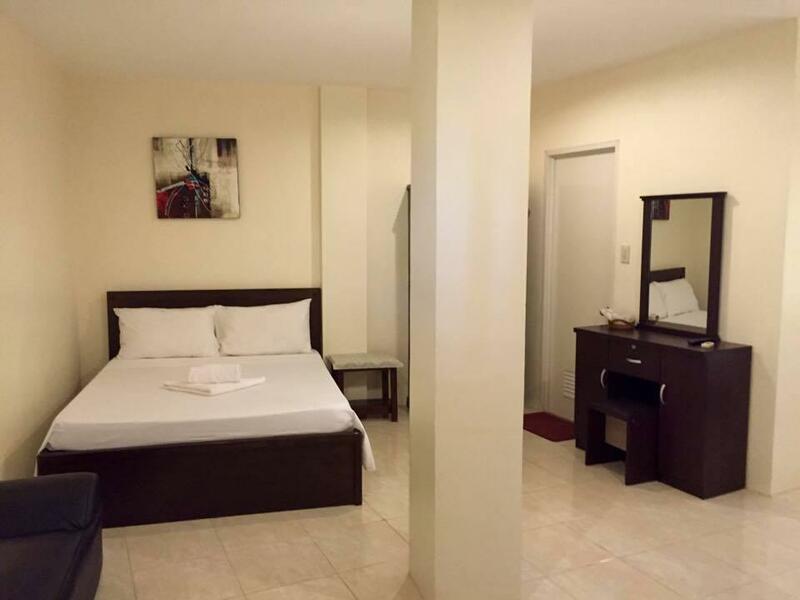 Location is not the best, but it's still a walking distance to Alona Beach (15 min). The beds are really comfortable and the shower is hot. The room was clean, and there's all amenities needed for us. 2 minutes & 50 peso by tricycle to alona beach. The best in my mind is kindness of host. They were helped me to cure my hurt, and continuely checked my hurt. They borrowed us aqua shoes and snorkeling equipments. If i go back Bohol again, i will visit here again. it was excellent. Thanks! I had a very nice and pleasant stay at Panglao Island Franzen Residences. The location was good, far from the crowds but close enough to walk to the beach. But what made our stay very pleasant was the very accommodating hotel owner who went out of her way to attend to our needs. She was up at 2:00 a.m. to bring us to town because our group joined the Bohol International Marathon I would definitely stay in this hotel again when I go back to Panglao Island. Room on second floor (deluxe). Big fridge and a nice balcony to enjoy self made breakfast. You can also wash og dry your own wet clothes from the beach on your private clothesline at the west balcony. New air conditioning from may 2018. Even though the walk to the beach isn’t that long, it’s a little pricy for its lacation. Value for money, Staffs were aproachable, Room and amenities were more than satisfied. I have no problems with this hotel. Only issue is it’s a little far from the beach so would have to ride a tricycle back and forth each time unless you want to walk. If your looking for a quiet, and yet walking distance to all the activities you've come to the right place. Clean and spacious room, safe and secured place, immediate response to all your needs as owners manages the place, friendly and very accommodating as we had early checked out and requested to leave our baggages in their care while we went on a tour. Bigger fridge than what is usually provided in some hotels and a place to hang your wet clothes after a swim in the beach. I feel bad on spending my first day with one of the expensive resort when franzen can surpass the services they offered. Although dining are not available, chains of restaurants are within walking distance. I strongly recommend this place. Will surely come back with the whole family. Tucked away from the chaos of the city centre but close enough to the restaurants and bars. 5 min walk away from the beach. Has better deals for yours and activities than those you’d get directly on the beach. The staff was courteous, kind, helpful and went out of their way to ensure our needs were met. 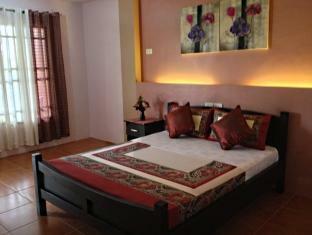 The rooms were well maintained and cleaned daily. These rooms had a bathroom, bedroom and a special section in the back for those who needed to clean scuba or beach clothing. The front of the room had a table and electrical sockets for breakfast or to watch the sunset. The property maintained security throughout the 24 hours with one of their staff members always watching the gates. The Wi-Fi was good enough for me to complete 3 of my PADI e-learning courses and watch movies on Netflix. There were three types of breakfast, large portions and inexpensive by western standards. The staff, if requested by customers, can order taxis, trikes or even private taxis to any areas on the island. Finally, on the last day my gf became very ill due to food poisoning from a private excursion with a company on Alona Beach. While I went to the pharmacy, the staff assisted my girlfriend w/o hesitation. The owner was so kind. They are under renovation on the day we came and still accomodated us. Cons is that it is far from the main alona beach. Its for you if you want quiet place to stay. Spacious room.